Paracords are all the rage and can be used in a variety of ways: e.g., for tying and knotting key rings, bracelets, etc. Contents: 1 key ring monkey fist (incl. 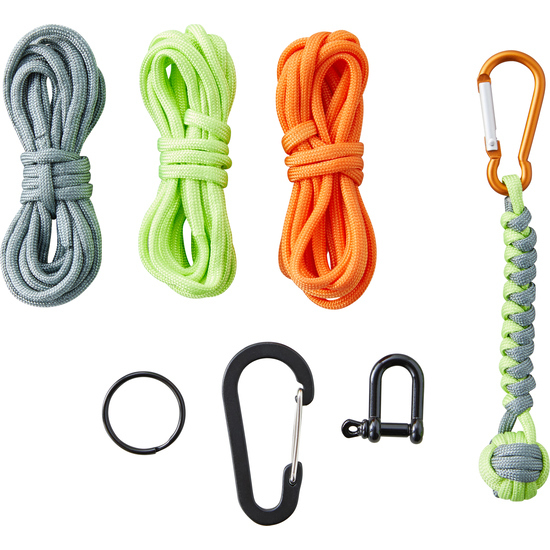 3 cm long carabiner), 3 paracords in different colors, 1 carabiner (l 6 cm), 1 key ring, 1 shackle, 1 set of instructions.